Home » Are Consumers Being Mislead About Oxybenzone Safety? In recent years, the media has widely publicized reports by a Washington, DC environmental group (The EWG)1 that warns consumers to avoid sunscreens containing organic compounds—including Oxybenzone. These reports have been misleading, and have understandably caused confusion—even fear—in the minds of many consumers about oxybenzone safety. Will the sunscreen you’ve been using really give you cancer or disrupt your hormones? To help you feel more confident in your choice of sunscreen, let’s look at some FACTS. Oxybenzone has been an FDA-approved sunscreen ingredient since about 1980. Being effective against both UVA and UVB radiation, Oxybenzone works by absorbing UV radiation and then dispelling it as heat. Rocky Mountain Sunscreen lotions containing Oxybenzone also bond with your skin to help it breathe and perspire naturally—keeping you cooler during outdoor activities. So if Oxybenzone is so effective, and remains an FDA-approved ingredient after decades of use, why is the EWG telling you to avoid it? 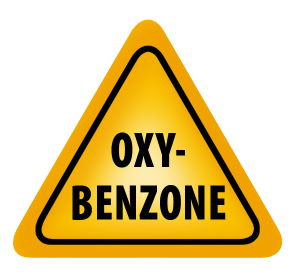 There are two main reasons why the EWG says to avoid Oxybenzone: 1) it can interfere with your hormones; and 2) it can cause cancer. These are understandably scary-sounding statements. But before we go further, it’s important to clarify that they (the EWG) are not saying Oxybenzone DOES disrupt hormones or cause cancer, only that it COULD. Let’s dig a little deeper to find out where they get these claims. To justify this claim, the EWG cites a 2001 study of immature female rats that ingested Oxybenzone placed in their food. In some rats estrogen levels were affected, leading to abnormal uterine growth. To take this small bit of research and say that the sunscreen you use will disrupt your hormones seems a stretch. In March of 2011, researchers at the Memorial Sloan Kettering Cancer Center2 in New York noted that in the rat study, the levels of Oxybenzone exposure the rats received could never be achieved in humans through normal topical use of sunscreen. In fact, to absorb levels equal to the rats in the study, an average adult woman would need to apply sunscreen to her arms, hands, face and neck every day for 277 years!3 Although there are a few other studies referenced by the EWG about Oxybenzone Safety, as far as we can tell, the extrapolations in all of them are about the same. The second Oxybenzone safety warning by the EWG is that it can cause cancer. This statement comes from a 2006 study at the University of California, Riverside, where Oxybenzone and other similar sunscreen ingredients were tested on “laboratory” human skin, or skin grown in a lab. The report suggested that under certain conditions, UV absorbing ingredients found in sunscreen COULD release free radicals, POTENTIALLY causing damage to nearby cells and in THEORY lead to skin cancer. What the EWG fails to mention from the study is that the danger from free radicals could only happen when UV radiation reached sunscreen that had actually “penetrated” the skin. Authors of the study noted that applying sunscreen at regular intervals during sun exposure (like we’re supposed to), would avoid this free radical scenario entirely. Kerry M. Hanson, the senior research scientist and lead author of the study also stated: “At this point, I don’t think there’s enough evidence to firmly claim that sunscreens containing Oxybenzone are unsafe”4. As an added safety measure, Rocky Mountain Sunscreen also includes antioxidants in their formulas as a protection against any potential free radical damage caused by UV exposure. We hope you have found this information helpful. What we’ve said about Oxybenzone safety is by no means exhaustive information on the subject. If you still want to know more, we encourage additional research on your part. If you find any information contrary to what we’ve presented here, please let us know. Our toll-free number is: 1-888-356-8899. We love hearing from our customers. At Rocky Mountain Sunscreen we believe in our products. And as a whole, our industry is all about sun safety and protecting people from the health risks caused by too much sun exposure. In the future, Oxybenzone may indeed give way to an even better sunscreen ingredient. When that happens, we will embrace it. But until then, the bottom line is that after decades of use, no studies prove, or even suggest that Oxybenzone causes cancer. However, overexposure to the sun over time DOES cause cancer! The most important thing you can do according to skin and cancer experts is to adopt wise sunscreen habits—which of course includes wearing sunscreen. NOTE: The American Academy of Dermatology continues to recommend sunscreens with oxybenzone.